You are here: Home / Working with Dreams / Lucid Dreaming / What is Lucid Dreaming? This is my final post on ways of working with dreams without a dang dream dictionary. Becoming a lucid dreamer is an advanced dream practice that is actually easy to learn. I’ve been leading up to this post because to start lucid dreaming you have to have good dream recall, know how to set a strong intention for dream incubation, and understand how to honor a dream with action. All of these are foundational practices and perspectives for those who want to take their dreaming life to the next level. It is the art of becoming more conscious during the dream. When we are dreaming and realize “Hey, I’m dreaming!” we have a unique opportunity to interact with the dream with purpose and, of course, with amazement. And it gets even dreamier when you realize that the other dream figures want to talk to you and show you, well… they show you what you’re ready to see. They can be friendly and other times they can test your boundaries and the limits of your courage. And occasionally, they will let you in on a secret or two that can remind you that the world is not at all what it seems. I’m speaking so vaguely here because lucid dreaming is really what you make of it. In the moment, it is a mirror of your own intentions and desires. But over time the mirror changes you, making you clearer, stronger, and yet also more flexible, more centered, and ready for anything life throws at you. There’s really no one way to lucid dream – after all, people from hundreds of cultures have been using lucid dreaming for thousands of years for all sorts of purposes, including out-of-body travel, shamanic healing, communication with plants and animals, finding answers to dilemmas and solutions to problems, dissolving the self, and exploring the mythic realm for self-knowledge and for social leverage too. Lucid dreaming is culturally-mediated; there is no final authority to the Highest aims of lucidity. On a personal note, it’s not an exaggeration to say that the practice changed my life forever. As a teen and a young adult, I was haunted by nightmares. Lucid dreaming helped me face my fears, literally. This initiation into conscious dreaming helped me build courage in my waking life too and to take more risks (emotional, physical and spiritual). More than anything, lucid dreaming has shown me that the greatest hurdles and roadblocks are the ones I have put up in front of myself. To put it mildly, lucid dreaming is the greatest teacher I have known. Is lucid dreaming the same thing as dream control? No, these are actually two different aspects of dreams. You can manipulate your dreams without being aware you’re dreaming, and you can be lucid without controlling the dream. What lucid dreaming offers is the ability to make a choice. To control yourself, your actions, and your reactions. As great Hindu mystics remind us, karma is not what happens to you; it’s how you react to what happens to you. Technically speaking, there are lots of ways becoming more lucid in dreams: volition or making choices, meta-cognition (thinking thoughts and noticing your emotions), as well as levels of understanding that “this is a dream.” For example, I sometimes realize I’m dreaming and then try to teach another dream figure that we are dreaming. (Most of the time, they don’t want to hear it.) Interestingly enough, one lucid dreamer friend of mine suggests that the dream is more lucid when all the dream figures understand. But at the end of the night, a dream is “lucid enough” if your consciousness level is appropriate to the task at hand. You don’t need to remember your social security number or every detail of your sleeping location in the middle of a dream to prove you are lucid; this kind of fact-finding can actually diminish the magical qualities of the dream itself. Consciousness moves around; it changes in an instant, and this is true of lucid dreams too. So, whether your state of mind reflects a mild self-awareness or some kind of transpersonal bliss, a lucid dream is always good enough. We don’t judge our ordinary dreams, so I don’t believe in judging our lucid dreams either. We will always have another opportunity to choose differently again, to try a new strategy or take a different path. That’s my quick introduction to lucid dreaming. Now, the question is, why would you want to become more conscious in the dream anyways? Here’s the short list. Lucid dreaming is a learnable skill, but it can be difficult to “break through” to the other side. Also, learning is easier for some more than others, based on the strength of intention, your daily habits of self-awareness, your level of dream recall, and your sleep hygiene. I have already mentioned the importance of good dream recall. Here are some other must-have lucid dreaming techniques. Go back to my dream incubation article and read it again with a mind to incubating lucid dreams. Dream incubation involves setting an intention. There are many lucid dreaming techniques out there, including using technological devices, listening to brain entrainment music, and even going to sleep with a full bladder. However, I have found that none of these are effective unless you know how to set an intention before you go to bed. This is the single-most important indicator of becoming aware in dreams. So why do you want to go lucid? Is it philosophical curiosity? The quest for power? Lucid pleasure? Be honest with yourself and stick with the strongest intention you can muster. Are your mind, heart, and gut on board? A powerful intention lives in all of these places. Next, decide upon a behavior you will do once you realize you are lucid. Codify it. “When I realize I’m dreaming, I will fly over the trees.” Make it simple, short and sweet. What makes lucid dreaming so cool is that, unlike ordinary dreams, you can honor the dream with action while still in the dream, and even interpret the dream as it goes along. If dreaming is the royal road to the unconscious, lucid dreaming is the super highway. Carlos Castaneda popularized a good reality check in his book The Art of Dreaming. Simply look at your hands and think, or say out loud (even better), “I am aware.” Do it until you really mean it. The nice thing about hands is you always have them around. Another effective technique that works for me is noticing every time you pass through a doorway. This is hard at first, and really shows how unaware we are in our everyday patterns. I’ve had many lucid dreams emerge from my habit of noticing these thresholds. There’s no way around it: good lucid dreamers are good sleepers. If you don’t get much sleep, you are cutting out those long REM stages that only comes after 6 hours of uninterrupted sleep. On weekends or days off, try going back to sleep after waking up at your normal time. The extra sleep will probably have an extended period of dreaming. Also, afternoon naps are frequently REM sleep and result in high levels of lucid dreams. I’m a fan of the late afternoon nap, personally. Not only is it a chance to lucid dream, but I wake up in 20 or 30 minutes refreshed and ready for a whole new day. Much more effective than a cup of coffee. Supplements, in my perspective, are a waste of money if you don’t do the real work, which is about becoming more aware in daily life. Honestly, this is the real path. But supplements can help with that first boost into lucidity, provided the other preconditions have been met (dream journal, check. Strong intention, check. The chance to take a nap undisturbed, check). 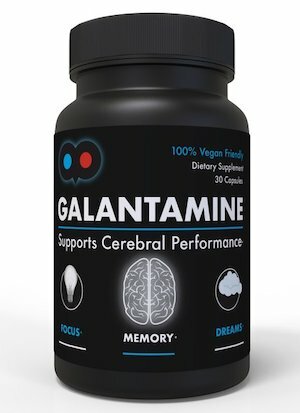 Check out my review of the most popular lucid dreaming supplements currently on the market. I personally have had great success with waking up, reading for 45 minutes or so, and then going back to sleep. Especially effective if the reading material is about lucid dreams. The reading activates the frontal cortex which is the seat of analytical awareness that says “I’m dreaming!”, so you are more likely to stay aware immediately afterward. Do lucid dreaming incubations really work? Yes, they do. I wrote my MA thesis based on my experiences of incubating lucid dreams. During that period, I had a lucid dream twice a week (without trying, I have lucid dreams about once a month). Another way to boost your results is to form a lucid dreaming circle, either online or in your home town. A little social pressure is good – too much can have the opposite effect, however. Lucid dreaming takes a lifetime to master, so be patient with yourself. We have all our life to wake up to our greatest challenges and opportunities. So start with today, right now. Are you dreaming? How do you know? Interested in learning how to lucid dream quickly and without the usual frustrations? 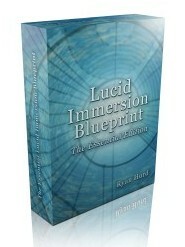 Check out my new digital course: the Lucid Immersion Blueprint. 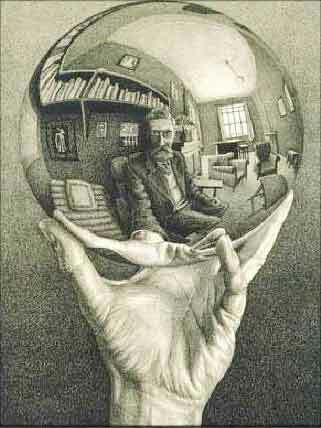 Yeah… I have started to view the world, consciousness itself, as an imaginary realm. I think that perhaps enlightenment is like lucid dreaming, without being asleep: for if consciousness is itself a dream, then there is no truly waking up from it… there’s only becoming aware of the dream, within the dream. i started a year ago and have had at least 50 i actually had 3 last night its all about intention and how important lucid dreaming is to you, you attract the things u want just by thinking about it the more time u spend with it the better youll be. anyone can learn do it every night if thats your goal. thanks for commenting Louche. Many avid lucid dreamers actually do it every night, several times a night. With the right attitude and strong resolve, it’s possible to have your first lucid dream in 30 days. Some will learn in less than a week. And I like your analogy of dreaming to living. That’s precisely the attitude that Tibetan Buddhists and Hindu yogis have in their lucid dreaming practices. It jives with current Western psychology too – our perceptions are illusions, constructed in the mind to create a facsimile of the world we touch through our sense organs. Of course, imaginary doesn’t mean it’s not psychologically real. It means it’s a different world, with different rules. Lucid dreaming is a powerful way to interact with the imaginal realm so we can learn from it. I feel like I should have paid for that! Dreampurr, I share your perspective about “waking up.” life is a dream, and I truly believe we’d live in a more just world if more people understood how our own emotions and perceptions contribute equally to “reality” as the material conditions we are enmeshed within. Fantastic post as always, Ryan. thanks for the lucid dreaming tips, Lee! I like your approach to “incubating” dream figures by looking around the corner. I’ve also found that going thru doorways does the same thing. 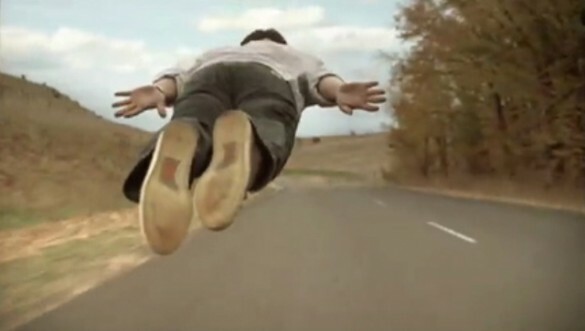 One of the first things that I do when I’m lucid dreaming is fly! I love it! Great site. I always find it good to look at the floor the moment I realise I’m lucid. I’m always amazed at the detail, the clarity of the gravel, or grass… I also find that if I study the palms of my dream hands, they have small moving shaddowy ‘dots’ drifting over them. Have been working on getting greater mastery of flying. Sometimes when I just try to fly up and up, I seem to reach some sort of glass ceiling and I just peter out and head back to the ground! I enjoyed your post. I will try to remember your tips for becoming Lucid. I’ve had 3 lucid dreams till now and absolutely loved every minute of them. I wrote up a quick post about my lucid dream in my blog and would love to use this image of flying. There is a link for the word “Lucid” pointing to this post. Please let me know if you have problem with using this image. thanks Keshav! as far as I know, the flying image is in the public domain. I was scared and couuldn’t take control and continue the dream. Is it safe to Lucid dream? Are there any chances that a person could go in coma or be permanantely be paralysed? what if the brain stops sending touch sense and you dont feel the touch or pain resulting in not able to wake up ….? I really love lucid dreams … Please answer my questions. It is perfectly safe and a wonderful experience when you go lucid. It is also normal that you can get excited the first few times and wake up as soon as you go lucid. I’ve had 3 lucid dreams till now and really cherish those dreams. Really informative post. I’ve been a lucid dreamer for a few years now and it’s been a lot of fun. 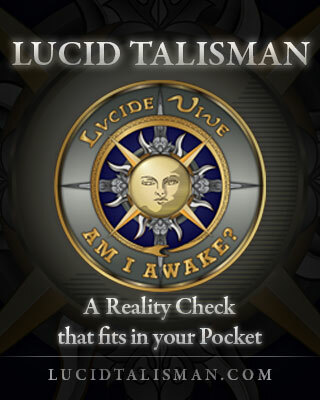 I use a dream journal and reality checks to induce my lucid dreams. I love lucid dreaming so much that I just recently started a blog about the topic. http://rudreaming.wordpress.com/ Check it out if you have the time. I really enjoy your blog, though! I’m very interested in this topic because I sometimes feel differently after certain dreams emotionaly and or physicaly. I’ll be 19 in another 2 weeks and I’ve only experienced sleep paralysis once. I dont know if the word “only” is proper, but this is something that my mind and hearts been pounding to do. I’ve had a history of miscellanious drug use and I would like to know if this could have any effect to lucid dreaming and OBEs. I love the fact that you’re so smart when it comes down to this and I could use a little of your guidance with this Ryan. some research has linked psychedelic states of consciousness to lucid dreaming — but I don’t know if taking substances will increase/decrease your lucidity in the long run. In the 1970s, psychologist Charles Tart discussed “high dreams” which are dreams that mirror that of being inebriated or like tripping… but he too wasn’t correlating actual use with lucidity. In the short term, cannabis is like alcohol: a REM suppressant that may lead to REM rebound which indirectly increases the chance of dream vividness and lucidity. I have also heard ancedotal evidence that salvia divinorum — a legal herb in the sage family — may increase lucid dreams through a similar mechanism of REM rebound. interesting. I have never heard of such a case. Perhaps changing your patterns before bed could make a difference. Also, have you tried middle of the night meditation? This is a dream yoga technique. It’s similar to the classic wake-back-to-bed method but can incorporate your practice. So, I’m getting better and better at being aware when I start to dream. The only problem is that when I realize I’m dreaming, I immediately start to think of what I want to see, or do. But then, for some reason, I wake up. What can you suggest to prolong the lucid dream state? This is in response to what Mario was asking about drug use and if it can affect Lucidity or OBEs. I have read in a few places that, yes, drug use can affect those things. Taking certain drugs like, herbs/supplements/stimulants/OTC drugs can Hinder Lucidity, and taking certain drugs like, herbs/supplements/stimulants/OTC drugs can also Induce Lucidity. It can go either way depending on the drug, your personal response to it, and your personal level of ability for Induction. If one is a drug user of the street drug sort, they too will also affect Lucidity, both intentionally, and unintentionally. It depends on what type of drug(s) was taken, how much, or how little. Also, if one is going through withdrawl from a drug(s), getting sober, and or “taking a break” from a drug(s), they may be more likely, and susceptable to Lucid events at those times, and it is more likely, than not, that they’ll be Unintentional and Random. If one already knew how, it would be much easier during these times to induce Lucidity Intentionally. This is the gist I’ve gotten from what I’ve read, and my understanding of Lucidity to what Mario asked. I Hope I was able to answer or elaborate about it…..
i didnt realize that what i have been doing since i was on the third grade is called Lucid dreaming.im 27 y/o now. it was my older sister who taught me to do it, well what we always do in our dream was to fly, i also befriend and sometimes command my villains like monster chasing me or anything. but i can say that my best lucid dream was after my dad passed away that i saw him in my dream and took the opportunity to talk, to hug, ask him questions i didnt had the chance to ask him, and finally to say I LOVE U that i never had said to him before, why i said it was best is because he replied to me words that wasnt a default in my mind or that something i didnt expect,so it was like OUR LAST CONVERSATION ya know.until now,that was 2001,i strongly believed that it was my dad indeed i was just glad i had turned it to a lucid dream. after that i still have dreams of my dad but no matter how i try to turn it lucid i can no longer have that different conversation with him however i have the chance to hug him and tell him how i missed him and i love him then my dream will just switch into another…the end. ps can anyone tell me why after several years of flying in my dreams, i can no longer do it now? i am saddened. my sister can no longer fly as well. anyone? so warming to hear about your lucid visitations. lucidity comes and goes in different times in our lives – there are factors at work besides our conscious desire to go lucid. perhaps it’s a matter of finding a new motivation that captivates you, or it could simply just be a natural time of incubation, of going underground. that’s part of the path too. Flying in particular is a skill that requires more than resolve but also allignment with your emotional centers (or willpower). 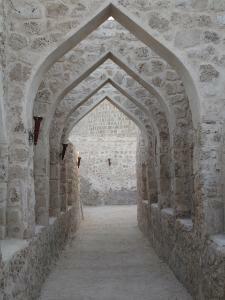 so perhaps you need to know where you want to go…. Hi, I’m very new to this dreaming stuff. I’ve had lots of precognitive dreams. I’ve been into/studying the paranormal world since the 9th grade. I’m just now getting into ‘dreaming’. I need some guidance…Ryan can you help? Great job spreading the word with relatable stories of your personal experiences! 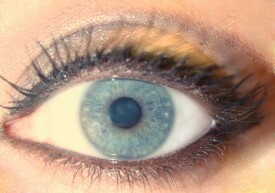 I actually almost sucess the first time i tried. The problem is that i wake up immediatly after realise it was a dream then stand up to go in the bathroom and start to work in slow motion. Then i fall down on the flor and was unable to move. In fact i didn’t wake up, i was still dreaming and unaware of it. It took me a good “push” to be able to move and wake up. Any advice to avoid this kind of unpleasant experience? Why this kind of things happen? I have been having lucid dreams for a while now. I am learning to take control without waking myself up. This article is very informative. For me, the signal that I am dreaming is that I will walk into rooms of a house and try to turn on the lights and they won’t come on. Funny thing is, sometimes I will be doing that in a dream and I will convince myself that I am not dreaming, and I can’t figure out why the lights won’t come on. LOL I also fly a LOT in my dreams. Its one of my favorite parts of dreaming. I often try to convince myself, while flying, that I am not dreaming, but awake. This really inspired me to actually try to lucid dream. I don’t recall ever having one but I really want to experience it. I’m starting to get tired now actually! Guess I can try now. Joanna, it’s funny how resistant we can be! A note about lights: sometimes, they DO come on in lucid dreams on command, so that method is not 100% effective. Usually, there is a tell-tale lag, tho, as you’ve noticed. James, your inspiration can power your first intention! I also recommend taking a look at your dream journal, or if you don’t have one, remembering your most emotional dream (positive or negative). focusing on going back there — and remembering “I’m dreaming” when you do — can be a quick way to lucidity bc the emotional dreams want to be reviewed. This article was great! I really wished I could do that! It seems almost impossible. Though there was one time when I was in a dream and when I realized I was dreaming, I woke up, but right before I woke up my whole body was tingling and there was a really loud noise in my head. It was really weird, and I couldn’t figure out why it happened, lol! Thanks! i had a lucid dream whilst working nightshift at the fire station. i awoke in my dream sitting alone at the mess table. i stood up and went to walk around the table. but i had the thought that, if i’m dreaming i can walk thru the table. which i did. then thru the wall into the corridor.i carried on walking in a straight line until i found myself outside, in open air and hovering above the street. it was dark and i flew over the rooftops of the stations ground. i remember trying to fly further than the boundary of the stations ground. but once getting a certain distance, an invisible force would repel me back. How are lucid dreaming and astral projection experiences related to each other? Is AP like going into altogether different dimension, or just getting separated from the body with the external world remaining the unchanged? I wish to have OBE, but find lots of methods out there confusing. LD seems quite easy to experience. Is it possible to have OBE via LD? Please enlighten me more on these two aspects? Fantastic post, Ryan. I’ve been practicing lucid dreaming for years, it’s one of the most beautiful things in life!